Saturday, March 24 from 6:00 p.m. until 9:00 p.m. Inspired by a trip to Japan, photographer Michael Harlan Turkell returned to New York City with aspirations of importing the ancient sport of sumo and teamed up with Harry Rosenblum, owner of The Brooklyn Kitchen, a center for culinary education. 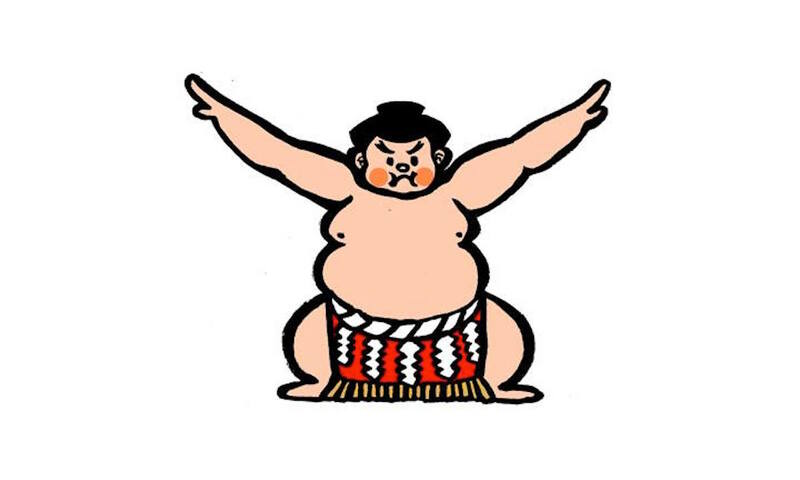 The two created a series based around plentiful bowls of chankonabe, the “sumo stew” wrestlers prepare and eat before matches. The hearty broth is loaded with fortifying protein and vegetables. This, paired with the live-streamed, bimonthly grand tournaments, makes for a lively event, bringing hungry first-time and long-standing sumo fans ringside. Beer will be provided by Asahi Beer, Tokyo’s oldest brewery. Nikka Whisky‘s Coffey Grain will be served as a signature cocktail by Matt Levy of the Covert Cocktail Club. Mizu Shochu will pour neat or with a slice of cucumber, and Hakkaisan will be pouring delicious sakes. For guests who don’t want alcohol, In Pursuit of Tea will serve from their incredible catalog of the finest teas in the world, and there will be bottles of Calpico, a tasty non-carbonated Japanese soft drink made with milk. And if all that’s not enough, how about mochi dessert from Mochidoki? The $65 ticket includes a bento box, bowl of chankonabe, and 2 drink tickets to be used for sake, shochu, beer, or whisky – and round after round of sumo. Additional drink tickets will be available for purchase. A portion of the proceeds will be donated to Japan Society. Other vendors include Wuhao New York, makers of tenugui, the traditional hand-dyed Japanese cotton towels. Kaede NYC will be providing yukata rentals for those wishing to attend SUMO STEW in style. Kikuichi, the premier Japanese knife company will have knives on hand to fuel your inner chef. Brooklyn-based NYrture will have New York Natto, a Japanese probiotic superfood made from fermented soybeans. Enjoy the edible sculptures made by amezaiku artist Candy Miyuki. Calligraphy artist Taisan Tanaka, who designed the SUMO STEW logo, will do live Sumi-e painting. Plus, there will be a special Rakugo (comic storytelling) performance by Touzaburou. For more information and to purchase tickets, please visit SUMO STEW’s Eventbrite page.